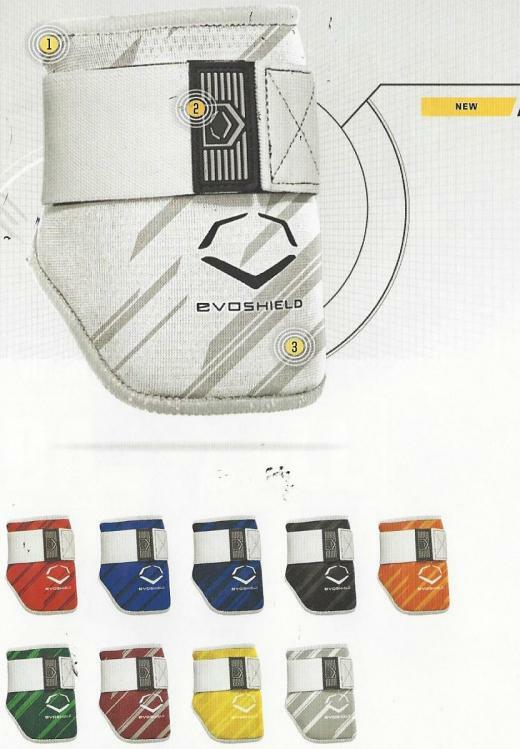 Take back the plate with the New EvoShield 2016 Protective Batter\\\'s Elbow Guard. The 2016 Protective Batter\\\'s Elbow Guard features a newly redesigned covering offering a durable surface with a fresh look for original patterns and dynamic colors, and a quick release pull-tab for easy-on, easy-off feel without sacrificing the lock tight hold. Own the plate while showcasing your power and style.